From first grade on, Judy and Suzie have been best friends. They slipped apart a bit after grade school, but a few years later they were both looking to buy a house in Rock Island, Illinois. When Suzie and her husband Harlan found the perfect place for sale on a quiet street in the kind of neighborhood where kids can play past dark, Suzie told Judy the good news only to find out that Judy had also found the perfect place for sale in the kind of neighborhood where kids can play past dark. For a moment, they both thought it might be the same house, but luck was on their side. Deals closed, moving trucks arrived, and best friends from first grade on got to watch their kids grow up on either side of the same street. That’s how luck works sometimes, like the night I walked out of Cinema Ballroom in St. Paul near midnight, feeling electric after dancing for the first time in months. I almost didn’t care that I had no way to get back to Minneapolis. Seven miles of walking felt cheap against a night of dancing. I looked up and recognized a woman I’d danced a few songs with that night. Kimberly looked at me for a moment, trying to figure out how I couldn’t have a car, and I decided I might as well just go for it. “You aren’t going anywhere near Minneapolis, are you?” I asked. “I could really use a ride.”. Fifteen minutes later we slid into an empty booth with a few of her friends at the only restaurant still open. That’s where Kimberly introduced me to David who grew up on a quiet street in Rock Island, Illinois, the kind where kids can play outside past dark. His mom’s best friend lived right across the street. Judy doesn’t live there anymore, she moved to a place on the river a few miles north, on a high bluff with a steep metal staircase to the water. 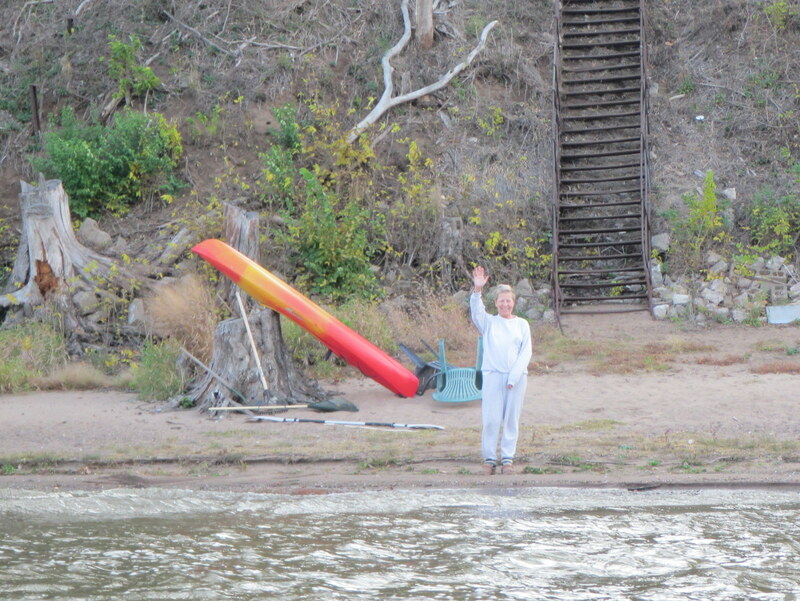 She waved and gave me a big hug as soon as I got off the river. Her smile makes you feel welcome from the first moment you see it, makes you feel like you’ve always been friends and it was only a matter of meeting in person, makes you glad you went dancing with no way home on a Friday night in St. Paul. Posted in Angle to Key WestTagged AKW November, Angle to Key West, connections, cordova, dancing, friends, iowa, luck, mississippi river, quad citiesBookmark the permalink. Oh how I love your posts!